This is a whole new definition of food fighting. Whether we realize it or not, plants don’t necessarily want to end up on your plate. And, as you’ll discover today, they’ve developed highly sophisticated means of making sure their species lives on. Now, for many of the foods we eat today, humans have been breeding some of these plants defenses out of them. While several other plants have chemical weapons that are stronger than ever. On today’s show we have New York Times bestselling author Dr. Steven Gundry. He went from being one of the most successful and sought after heart surgeons in the world, to completely shifting his focus to treating his patients with food. Why? Because it worked! Buckle your seatbelt, and prepare to have your paradigm changed. This one is definitely a game-changer in more ways than one. 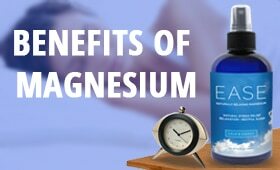 Most importantly, this can be the moment you find real solutions for some nagging health issues. Enjoy! Why nutrition programs at universities teach health principles that simply don’t work. The incredible story of how Dr. Gundry went from a world famous heart surgeon to treating his patients with nutrition instead. Where to find the source of most autoimmune diseases. Why some plants are innately driven to protect themselves from being eaten. How lectins can harm your nervous system. The surprising way that living plants respond to being eaten. How plants ensure that their “babies” live on. The remarkable way that plants communicate to animals that see in color. How food marketers manipulate our primal senses to get you to buy fake food. Which compounds found in wheat (in addition to lectins) are proven to cause health problems for humans. Whether or not brown rice and other “whole grain” foods are healthier than their white alternative versions (this is fascinating!). Why standard quinoa dishes are not as healthy as they’re cracked up to be. How a pressure cooker can be a superhero against villainous lectins. How lectins are influenced by the fermentation process. Why going gluten-free can make you more sensitive to gluten. What our 4 natural lines of defense against lectins are. The surprising reason why peppers are spicy to humans. What actually enables all species of animals to digest plants. Which common over-the-counter drugs can poke holes in your digestive lining. Simple (but critical) strategies to knock out lectins from your favorite foods. The Plant Paradox <== Pick up the new book right here! I was just thinking about my time back in college, and getting this traditional education from a traditional university, and I remember my nutrition class which was an elective, alright? Going premed, you didn't have to take this class, but I took a nutrition class at the very beginning. But here's the thing, he was doing what he was teaching. It wasn't that he was just going behind our backs and guzzling Coca Cola. He was following the guidelines that he was teaching us that he was supposed to teach that he learned. So I went ham. Like brown rice, brown pasta, everything. Definitely was less delicious but I thought that I was doing something better for my body, and little did I know that my allergies, my asthma symptoms that were still continuing even though I was trying to do better were hanging around until I pulled those things out of my diet and just ate real food. And so today we're going to talk about why that is. What happened? Where did this misconception begin that we should be eating these healthy whole grains, and is there any truth to it? Are some of these whole grains actually healthy? And how are they causing so many issues today? This was something, again when I was in a traditional university fifteen, getting close to twenty years ago, this information was new and novel, and today it's like everywhere. People are talking about this and jumping onto different new diet bandwagons whether it's a vegan diet, a vegetarian diet, Paleo diet, jumping on full force to try to find answers. But there are some universal principles that apply to all of those diets, whatever you choose to subscribe to, that can help you to be the healthiest, happiest version of yourself. And that's what we're going to talk about today because at the end of the day, we need to all work together whatever our diet beliefs are, fundamental beliefs are, because I know that if you're listening to this show you are somebody who is a proponent of eating real food. You're somebody who's a proponent of making better choices and starting to change the way that our world is operating right now as a result. And so I commend you for that, and today I hope to really deliver you some powerful insights because we have- I'm telling you, and I shared this with him. Before we do that, I want to give a quick shout-out to our show sponsor, Organifi. Now I believe that every human being needs to be on a green superfood blend. Now for me personally, growing up again, I had Flintstone vitamins, alright? This was my modus operandi of getting some vitamins and minerals in between my fish sticks and my macaroni and cheese, right? The Flintstone vitamins, and they were delicious. It was candy, alright? And today we just do adult versions of that. People are like, 'So what vitamins should I take?' Right? 'What vitamin supplements should I get?' Probably none, right? Where does it come from? Is it synthetic? Is this earth-grown nutrients? Is it actually giving your body the things that your cells can actually recognize? And these are fundamental questions to ask because we can literally be peeing our money right down the toilet, alright? And some of these vitamins do make your pee like really weird colors, if you've ever noticed this. Now so for me, I utilize Organifi because it's cold-processed and they have some of the most incredible and researched- well researched superfoods in this blend. We're talking about spirulina, which has- it's literally been used for thousands of years by cultures in Mexico and Chad for example as their primary protein source in some instances because it's so dense in protein. It's about 71% protein by weight. Also a great source of beta carotene and fikosianin which is clinically proven to induce something called stem cell genesis. Crazy. That's creating more stem cells. Really powerful stuff, but again we need to be careful about sourcing with all of these things. Chlorella. They also have ashwagandha in there too, which this is one of the top things in Ayurvedic medicine for a reason. Again thousands of years of documented history, it's great for helping you to modulate stress. So check them out, and oh here's the most important thing, it actually tastes good. Alright? I've been the guinea pig, I've tried out a couple dozen green superfood blends myself personally, don't do this to yourself. Just go with what works, go with what tastes good, and my kids love it as well, and actually both my kids had it today. So head over, check them out. You get 20% off your entire purchase forever, alright? Go to www.Organifi.com/model. That's www.Organifi.com/model for 20% off. Now let's get to the iTunes review of the week. ITunes Review: Another five star review titled 'It's Official, I'm a Lifer,' by MilesLover23. 'Hi Shawn, I'm new to the community but I have been loving all the awesome interviews and guest speaks. Wonderful content coming from you, and many of my favorite speakers each and every time. But today's message, 'Six Crucial Keys to Long-Term Motivation' was a deep dive into something that as I start my journey to a healthier life is essential. The difference between motivation and inspiration and the importance of each in living out our goals, wow. Well done. I'm going to listen to it again and take notes. Shawn Stevenson: Oh my goodness, I absolutely love that. Thank you so much for sharing that with me. And he's referring to- if you guys haven't checked out that episode, we talked about the science of motivation and really did a deep dive into that. So I'll put that in the show notes for you, and wow just thank you so much for sharing that message. And everybody, thank you for heading over to iTunes and leaving us these reviews. Please keep them coming. If you've yet to do so, just pause this. I'm here on demand, I'll be here when you get back. Go leave me a review and I truly, truly do appreciate that. And now let's get to our special guest and our topic of the week. Our guest today is Dr. Steven Gundry, and he's a renowned cardiologist, New York Times bestselling author, and medical researcher. During his forty year career in medicine he's performed over 10,000 heart surgeries and developed life-saving medical technology as well. In 2008 his book 'Dr. Gundry's Diet Evolution' revealed a new career shift for him, helping patients to heal themselves and avoid surgery through diet. His second book, the New York Times bestseller 'The Plant Paradox' outlines a ninety day plan for some of the world's most pressing health issues from obesity to heart disease. Gundry M.D. co-founded by Dr. Gundry himself in 2016 is a wellness blog that you guys definitely need to check out, YouTube channel, and supplement company to equip people with powerful tools in reclaiming their health. He practices medicine at his Center for Restorative Medicine and International Heart and Lung Institute in Palm Springs, and Santa Barbara, California. And I'd like to welcome to The Model Health Show, Dr. Steven Gundry. How are you doing today? 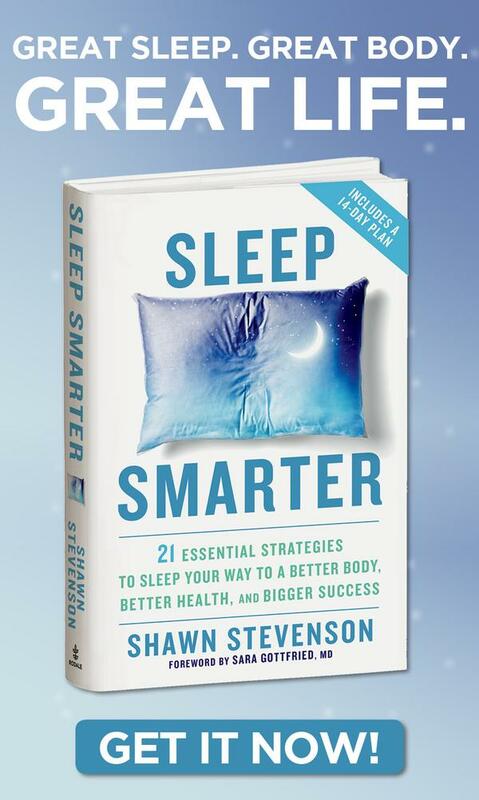 Dr. Steven Gundry: Shawn, thanks for having me on, appreciate it. Shawn Stevenson: Oh it's my pleasure. Very, very grateful to have you on, and excited to talk with you. As I mentioned, your book, holy moly, so good. So good. I would love to know just to kind of get things started for people, obviously you're changing a lot of lives right now, but what changed yours? What got you interested in this whole field of health and wellness in the first place? Dr. Steven Gundry: Well I'll try to capsulize is. I had a special major at Yale University as an undergraduate back in the dark ages, and in those days we could actually design our own major. And so I had a- for four years I got to research a thesis. You could take a great ape, manipulate its food supply and its environment, and you could predict that you'd arrive at a modern human being. And I was able to defend my thesis, and all 185 pages of it, and then I gave it to my parents, and went off to medical school and became a very famous heart surgeon- a children's heart surgeon, and a transplant surgeon. So I became famous for operating on people that nobody else wanted to operate on, and back in about 1997 a guy was sent to me from Miami, Florida by the name of Big Ed. And Big Ed was 48 years old, he had all of his coronary arteries were clogged up, you couldn't put stints in him, you couldn't do bypasses, and he like lots of people would go around to the major centers (Mayo Clinic, Cleveland Clinic, Houston, Stanford), and I was part of that circle because I was Chairman at Loma Linda University here in Southern California. Because I obviously attended the same nutrition class that you did in college in medical school, and I was literally taught that the stuff makes expensive urine. So we get another catheterization and in six months’ time, this guy cleaned out 50% of the blockages in his coronary arteries. Six months. Dr. Steven Gundry: And now he's got places that I could do bypasses. Now I was pretty dumb then, so what I did was I did a five vessel bypass on him, and he did great. If I knew what I knew now, I would have said, 'Hey great, 50% are gone, let's keep at this,' but I didn't know that at that time. Why that's so poignant was that I was seventy pounds bigger than I am today, and I was running thirty miles a week, I was going to the gym one hour every day, and I was eating a low-fat healthy vegetarian diet because Loma Linda is an adventist health institution, vegetarian. So I start going through his jars of supplements, and I'm very famous for keeping hearts alive in a bucket of ice water for 48 hours after they've been dead for several hours. And I was putting in this concoction of stuff through the veins and arteries of the heart to resuscitate the heart muscle. And when I started looking through his bag of supplements, a lot of these supplements I was giving intravenously to resuscitate heart muscle, and it never occurred to me to swallow the dumb things. And so I started swallowing a bunch of supplements, and I started sending my bloodwork up to Berkeley, California, and all of a sudden my high blood pressure went away, my cholesterol normalized, my migraine headaches went away. And so I started doing this with my staff at Loma Linda, and I started doing this with patients that I operated on, and they all got better, and their diabetes went away, and we took them off their high blood pressure medicines, and their arthritis went away. And so that resulted in my first, like you mentioned 'Dr. Gundry's Diet Evolution.' And then after we did that, a lot of people with autoimmune diseases started showing up in my doorstep, and today about half of my practice is autoimmune disease. And so we started tweaking more and more with the foods that people were allowed, and that's probably what we'll talk about today. And 'The Plant Paradox' is basically plants are good for us, but plants- certain plants are incredibly bad for us. And so I'll stop there for a second and we'll go from there. Shawn Stevenson: Yes, and therein lies the paradox, you know? And how you outline this in the book, and you know you made a point of reference to stop many times and say, 'Hey I'm not anti-plant,' right? And- but you also need to understand these basic principles that many times ancestors knew about that have just somehow or another got lost in the shuffle. And so we're definitely going to talk about those things today. So I think it would be great first and foremost to lay a foundation for everybody who's going to discover how highlighting these certain plants- they aren't just inert organisms that can't do anything, right? Shawn Stevenson: Plants can't get up and run from you, so you think that they're not living and they don't have this kind of consciousness to try to take care of themselves. So let's talk about that first and foremost, and the fact that these aren't inert organisms that can't do anything to protect their livelihood. What can plants do to defend themselves? Dr. Steven Gundry: Yeah so you know, plants were here first, and they had it really good. They were actually here for ninety million years before their predator arrived, which was insects. Now if you think about it, plants had it great because nobody wanted to eat them, and believe it or not plants do not want to be eaten. They are subject to the same evolutionary pressures that animals are. They want to grow and they want to make babies, their seeds, and they want to make sure their babies grow. So when their predators arrived, plants had a real problem because like you mentioned, they can't run, they can't hide, they can't fight. But what they are is chemists of incredible ability. I mean they can turn sunlight into matter and we haven't figured out how to do that yet. So what they do is basically chemical warfare, and they have a variety of proteins at their disposal. And one of the ones I really focus on in the book are called lectins. Some people think I'm saying 'leptin,' the anti-hunger hormone. Some people think I'm saying 'lecithin,' the emollient, but it's lectin. So lectins are proteins that are sometimes called sticky proteins because they actually go after certain sugar molecules. And the idea of a lectin is to disrupt cellular communication, particularly in their original predator which was an insect. And one of the cool things about lectins is they'll actually bind to a sugar molecule that is between nerve endings. It's called sialic acid, and there's not going to be a test, so don't worry. And it disrupts one nerve talking to another. And so the insect would be paralyzed, and that's a pretty good deterrent. Dr. Steven Gundry: As animals got used to these things, there became an escalating warfare. I'll give you an example, a great example. So young leaves of trees don't have very many lectins in them, and then as they get mature, the lectin content goes up. So caterpillars actually hatch in the springtime when the new leaves are coming out because they don't have as many lectins, and they don't hatch in the middle of the summer because the plant has mature lectins. But get this, if a caterpillar starts munching on one side of a tree, within ten minutes the other side of the tree will increase its lectin protection tenfold. So plants actually know what's happening to them. And we talk about it in 'The Plant Paradox' how you can actually stimulate the noise of a caterpillar, and the plant will actually increase its lectin production only to that noise of a caterpillar munching, and it won't do it to a similar vibration. So these guys- plants are really smart. One of the things that really amazed me a number of years ago, is Michael Pollan's first book was actually called 'The Botany of Desire.' It was actually how plants manipulate their predators to do their bidding. And it had an amazing effect on me that in fact plants aren't just sitting there waiting to take it. They are sentient beings. And I am a plant predator, I admit it, but you've got to know- you've got to know which plants you're actually evolved to eat, and which plants you're absolutely not evolved to eat, and that's what 'The Plant Paradox' does. Shawn Stevenson: Right. Right, and so many different levels, and there's some stuff in between too. There's a little bit of gray area as well that you address in the book. And the one study- and you just mentioned it, they actually simulated the caterpillar munching. And they also put that up against like the wind blowing very hard, and there was no increase in the production, and you put in the book some mildly toxic mustard oils. Shawn Stevenson: Just when they think the caterpillar is starting to bite on the leaf, the plant will start to produce more protection. It's just mind-blowing stuff. And you also mentioned that plants have their babies as well, which are these seeds. So let's talk about some of the different ways that plants ensure that their babies can live on. Dr. Steven Gundry: Yeah, great question. So plants have a strategy to make sure their babies make it, and there's essentially two types of seeds that plants make. And so most fruits actually utilize that strategy. The plant wants you to eat that fruit, so you'll swallow its babies, and it wants you to eat lots of those fruits. So as I talk about in the book, the plant actually induces us to eat as many fruits as possible, number one by telling us the color of the fruit. And most of us don't realize that the only animals that have color vision are actually fruit predators. Great apes have color vision because they're fruit predators. You and I have it because we're great apes. Birds have color vision, and interestingly enough dogs don't have color vision because they care less what color a squirrel is. If it's running, they want to eat it. And in fact, they look for movement, and that's why a rabbit or a cat freezes when a dog goes by because the dog can't see the cat or the rabbit if it's not moving. So plants, again how smart they are, they actually use red colors, yellow colors, orange colors to tell us that the sugar content is at its maximum and that we'll benefit from it. But it also tells us that the baby is now encased in a hard shell that we can't digest. So the reason for instance General Mills and Kellogg’s uses orange and yellow and red packaging, and most snack food companies use this, is because that actually hits our brain and says, 'Oh wow, it's fruit season, and we should be eating as much of this stuff as we can.' Pretty cool, huh? Shawn Stevenson: Wheaties, Cheerios, Honey Nut Cheerios, yes. Dr. Steven Gundry: All use those colors. Shawn Stevenson: That's built into my mental rolodex because my stomach is growling, I'm a little bit- I feel a little bad saying it, but many a Honey Nut Cheerio hath passed- doth passed my lips in my day. So that's so crazy, I never thought about that. Dr. Steven Gundry: It's that deep. Shawn Stevenson: I think that's the main place that the temper tantrum takes place is the grocery store for a lot of folks. Shawn Stevenson: So you mentioned obviously that's one transportation method, or kind of survival for the babies. And then also, what do we have? Dr. Steven Gundry: So there are a lot of plants that don't want their babies to be carried out someplace. They want to have them dropped and stay, and those in general are the grasses and beans. And these- they're usually in open fields, they want to drop, the next generation wants to go exactly where mom lived. And so these are what I call in the book 'naked babies.' They don't have a hard protective shell, but instead what they have is an outer hull that contains primarily what are called lectins that are designed to make the animal think twice about eating them by either making the animal hurt, by making the animal not thrive, by making the animal not reproduce well. In general the plant won, the animal one, and everybody was happy. Now then humans arrived. Now unfortunately humans are really stupid, and we'll eat these things and feel lousy, or not thrive, or have a migraine headache when you're doing a heart transplant, and not realizing it's certain things that you're putting in your mouth that are causing this, and we'll take Aleve or Advil, or we'll take Nexium or Prilosec, and we'll just keep eating this stuff. And so one of the things that I'm trying to teach people is these are not things that are supposed to happen to you. Arthritis is not natural, migraine headaches are not natural, heartburn is not natural. I've got news for you, heart disease is not natural. And when we look at cultures that have figured this out, you start seeing that they don't eat a lot of the things that we think are good for us. Shawn Stevenson: Right, and you outline that so well in the book, and I would love to talk a little bit more. Before we get to some of the specific foods, and it's probably going to surprise a lot of people where we're going to find these concentrations of lectins in some of these different foods. A lot of people today, obviously wheat is the big- the one with the big billboards. You know, people are talking about that, but there are several other things in wheat besides the lectins that the plant is using as a deterrent. So let's talk about a few of those; you know, the tannins and phytates, things like that. 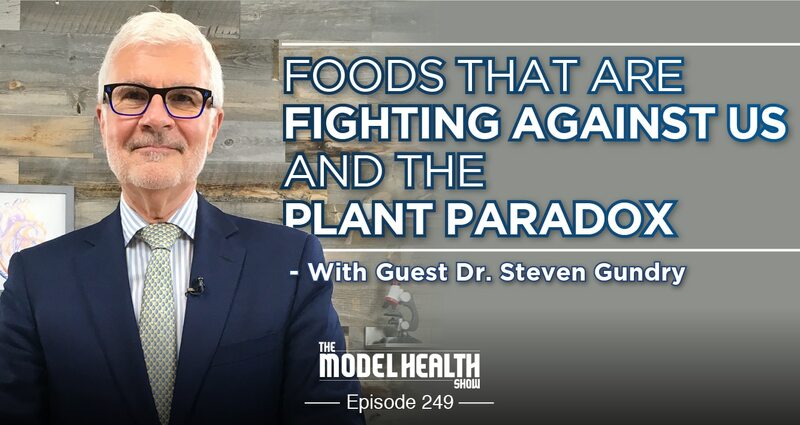 Dr. Steven Gundry: Yeah so lectins are just one part of the defense system, and there are phytates which actually are really well-designed to prevent you from absorbing proteins and absorbing minerals. And interestingly enough, there are animals that are really designed to be predators of grains. So for instance, rodents. Rodents are grain predators, and one of the things I point out in my book is that rodents in general have ten times the amount of what are called proteuses that break down these anti-animal compounds, and we don't have them. You know, which is another example for the fact that we have not evolved to be good predators for these plants and plant babies like wheat. The other thing that's really scary about wheat, everybody knows about gluten. Gluten happens to be a lectin, and it's a real lectin, but in the scheme of things gluten is actually in my book down the list of the major lectins. And actually in the hull of wheat contains probably the worst lectin of all which is called wheat germ agglutinin. It's nicknamed WGA, and wheat germ agglutinin is in the hull. It's not in the endosperm, the white part. So the advice to eat whole grain, or whole wheat, or whole brown rice is actually one of the biggest mistakes we've ever made. And because traditional cultures have tried to mill off the hull. For instance, four billion people use rice as their staple, but four billion people use white rice as their staple, and they've been getting rid of the hull of brown rice for 8,000 years. And the same way the French use white flour, they have white baguettes, they have white croissants. The Italians, they have white pasta. I mean the idea of whole wheat pasta is such an anathema to an Italian, and yet now in the tourist areas of Italy you see whole wheat pasta. And you're right, it tastes awful, and the Italians have been throwing the hull away for generations because that's where one of the big problems is. Shawn Stevenson: Yeah. I'm so glad you brought this up because the French paradox, and you talked about this in the book, we see about half the rate of heart disease with the French who are eating the foods that you just talked about, and also- and you mentioned this as well, they live about two and a half years longer on average. So it's just like let's look at the results, and you mentioned four billion people, so we're talking about countries in Asia for example; Japan, China, India, same thing. And this was a big revelation for me personally because I remember the last kind of fast food-ish meal that I had, I literally remember this, and this was over fifteen years ago, and it was at this Chinese restaurant which was kind of like a fast food kind of Chinese restaurant. And I was sitting there, and I was eating my whatever, hot braised chicken whatever, and I saw that the owners- like their family, there's like their kids and their wife were eating like white rice and vegetables. I was like looking at my plate, and looking at theirs, and I was just thinking, 'I need to eat brown rice with this,' because I was trying to get healthy. And you just like look at the results. They figured this out a long time ago, and they're not eating this stuff that I'm eating. The messed up part is that they're selling it to me. But you know, in the grand scheme of things, again somebody figured this out thousands of years ago that this could be a potential issue. Dr. Steven Gundry: Yeah you know, beginning in college what I did was study why people did the things they did to the food they ate, and was it tradition? Or why did they do this? I mean for instance, like quinoa, like I talk about in the book, the Incas had three detoxification processes to get the toxins out of quinoa. They would soak it for 48 hours, and then they would ferment it, they'd let it rot, and then they'd cook it. And it's not on the packaged directions. Dr. Steven Gundry: And as I talk about in the book, and I've now seen this several more times since the book came out, I had a lovely forty year old woman who moved from Lima, Peru to L.A., and she wanted to continue her traditional diet which contained a lot of quinoa. And her mother had always pressure cooked her quinoa and she thought it was just this wives' tale. So when she moved to L.A. she started eating quinoa not pressure cooked, and she got horrible irritable bowel, and just felt awful. And just last week I saw a woman from Brazil who up until they were eleven years old, her mother always pressure cooked her rice and beans, and then their pressure cooker broke, and they stopped pressure cooking the rice and beans. And she said, 'It was the day our pressure cooker broke.' And so now she's fine again, but it was a great story, and so there you go. Dr. Steven Gundry: Pressure cooking breaks lectins. It won't break the gluten lectins, so don't go home and pressure cook your brown rice, or your wheat. It won't work. But it'll kill all other lectins. It's the ancient grain, right? The marketing is so fantastic but you mentioned that it doesn't have the instructions on there on how it's traditionally used. Yes it's been used a long time, but we got a little bit skewed here in our approach to it. And so even for myself personally, I always soak it, and it gets sprouted, and then you cook it as well. And even seeing different cultures who I've had the great opportunity to work with people from all over the world, and seeing how many cultures ferment these types of foods, these grains, you know? Shawn Stevenson: And making breads, and things like that as well. Dr. Steven Gundry: That's exactly right. Fermentation- bacteria and yeast are very effective at eating lectins. So believe it or not, we have bacteria that are perfectly capable of digesting gluten. And if you- interestingly enough, if you go on a glutenfree diet, those bacteria have nothing to eat, and they leave our guts. And then you take a person who is only marginally sensitive to gluten, and then reintroduce gluten after they've gone gluten-free, and they'll really feel the gluten because the bacteria that were protecting them were actually- are gone. And that's another thing we talk about in the book. We have multiple layers of protections against these plant compounds that we've evolved. So plants have their system, and it's like setting up an NFL lineup, you know? Okay let's talk about the offensive line, and okay now let's set up the defense. And fermentation was a huge part of this, and breads still in Europe are always raised with yeast or sourdough cultures, and people have to realize that breads in the United States and North America, now we don't use yeast to raise breads anymore. We use an agent called transglutaminase which is really nasty stuff, but that's a whole other subject. Shawn Stevenson: Right, right. Yes and all of this stuff is in the book, and I'm so glad that we're talking about this because I want to talk about for people- because this is a big paradigm shift. When you start to think about, 'Wait a minute, I'm a plant predator? Plants don't want to be eaten?' And you start to become more conscious of these things because you might have that same perspective with animal foods, but this can be a real paradigm shift. But the question is what are our defenses? And we're going to talk about what those are right after this quick break. So sit tight, we'll be right back. Alright we're back and we're talking to the author of the New York Times bestselling book, 'The Plant Paradox,' Dr. Steven Gundry. And before the break we were going to talk about our personal lines of defense, because plants have them. What are the four lines of defense for us? Because you said it, like it's setting up the offensive line, and we've got the defensive backs, and that kind of thing. So how do we actually- how are we able to protect ourselves? And by the way, I said offensive line and defensive backs, I meant running back, alright? Full back, which my son plays that position anyway. And so what are our four lines of defense? So first line of defense is mucus. Now I mentioned to you that lectins are proteins that look for sugar molecules, and mucus is mucopolysaccharides. Polysaccharides means lots of sugar. And so mucus actually traps lectins. And next time you bite into a jalapeño pepper and your nose starts to run, realize that your nose is running because you have sensed lectins, and you are producing mucus to trap them. Shawn Stevenson: Or a ghost pepper. Dr. Steven Gundry: Or a ghost pepper. Shawn Stevenson: There's ghost pepper challenges. I don't know if you've seen these, Dr. Gundry. Dr. Steven Gundry: Yeah, I have. Shawn Stevenson: It's insane. It's insane. Dr. Steven Gundry: Before I grew up, I used to do a lot of crazy ghost pepper challenges, and wondered why I had arthritis and things like that. But that's another subject. Birds don't react to these things, and that's why they're called bird chiles, because birds are the only animals that are adapt at eating chiles. Dr. Steven Gundry: By the way, a chile pepper is an American nightshade family, so we're not designed to eat them. Sorry about that. So mucus traps lectins. Mucus lines our entire GI tract, and those of you who have heartburn, I can guarantee you that it's because you're eating major lectin containing foods that have actually absorbed the mucus that protects your esophagus from acid. And I used to have horrible heartburn, and I don't anymore because I now have my mucus layer intact. Mucus also protects the lining of your gut, and number two in our defense system is actually acid in our stomach. Now acid is really good at believe it or not breaking down protein. That's what it's there for, and lectins are a protein. So a lot of lectins are digested by acid, so that's number two. Three. Three is bacteria in our gut. I mentioned before that the bacteria in our gut are actually pretty doggone good at eating lectins if they've evolved to eat them. Now the longer you're exposed to a plant and its lectins, the longer you have in place bacteria that have evolved to like to eat those plants. We actually have to have bacteria to digest plants. No animal can digest plants, not even a termite. Termites have to have little bitty bacteria to digest the wood they eat. So bacteria, incredibly important. And as I talk about in the book, we decimated our defensive line of bacteria with injuries. Injuries from antibiotics, injuries from the NSAIDs, Advil and Aleve, it actually blows holes in our gut. And all of our animals have been fed antibiotics one way or another. And we've decimated our bacteria with Roundup, the herbicide that's used on plants to kill them. So the final line of defense is actually a mixture of bacteria and mucus that line our gut wall. And we have certain bacteria that actually stimulate mucus production on the lining of our gut, and without those bacteria we don't make mucus, and if we don't have mucus then lectins actually make leaky gut. And I can tell you that almost every one of us has some degree of leaky gut now. And I used to think it was a myth, and I can tell you that I see it now every day. Everyone with autoimmune disease has a leaky gut, and we can repair our leaky gut with high dose vitamin D, and lots of fish oil, but primarily by getting lectins out of our diet. Shawn Stevenson: Wow, wow, wow. There's so much good stuff here. I think that- and just to backpedal a little bit, when you talked about the quinoa earlier for example, and there's certain compounds, even like the saponins that are in quinoa. Dr. Steven Gundry: Yeah, yeah. Shawn Stevenson: These are like soap-like sugar molecules that can cause you this irritation. So what is it that- what are some of the foods? How do we actually attack this situation when we're so used to our way of being? How do we approach this so that we can eat foods that we enjoy and still feel good? Dr. Steven Gundry: Yeah, okay so again one of the things that I try to convince people is that all of us in America are not from America. Donald Trump is wrong. We're from Europe, Asia or Africa. All of us. Even Native Americans are actually Asians, I hate to break it to them, but we're all from someplace else. And that means that none of our ancestors were exposed to American plants until 500 years ago when Columbus started trade. And some of our most beloved foods are actually American plants that we really have no business eating, or if we want to eat them we have to hack. And so they are the nightshades, they're potatoes, eggplant, tomatoes, peppers, goji berries. Believe it or not, goji berries are from America. They were taken to China in trade. Then there are the squash family; cucumber, zucchinis, pumpkins. Peanuts and cashews are American beans, they are some of the worst things you can eat. And chia seeds, pumpkin seeds, sunflower seeds are American seeds. So what do you do to these guys? Well traditional cultures, for instance the Italians refused to eat tomatoes for 200 years because they knew how deadly they were. Italians always peel and deseed their tomatoes before they make sauce. And by the way, I just got sent a bottle of tomato sauce from an American company that peels and deseeds their tomatoes. And so this is beginning to catch on. So peel and deseed your tomatoes, peel and deseed your peppers. The Southwest American Indians always char their chile peppers and peel and deseed them before they grind them into chile. Tabasco sauce, and most traditional peppers are fermented. The fermentation eats the lectins. So you know, ferment your foods or buy a preparation that's already fermented. Last but not least, a pressure cooker will destroy lectins. So I have a wonderful story of a woman in the book who had horrible migraines, and she had a big garden, and she loves a zucchini and tomato relish, just loved it. But she had horrible migraines so we got rid of her tomato and zucchini relish and her migraines went away. I said, 'I'll tell you what. Can it this next year, can it regularly and pressure cook it. Call me back.' So she took a couple bites of her regular stuff, got a migraine, it went away. A couple days later she takes a bite of her pressure cooked zucchini and tomato relish, no migraine. And now she's of course eating her pressure cooked zucchini and tomato relish and she's happy. So she just learned the hack that allowed her to eat her food. And again, the person who learned the hack that a pressure cooker makes beans safe, we've had several vegan authors attack me that I'm anti-grain and anti-bean. I'm not at all, I'm just telling you you're stupid to eat them in their natural form. You've got to make them- you've got to get through the lectins and kill them with a pressure cooker. I'll eat all the beans in the world if you pressure cook them. Shawn Stevenson: There you have it. I love it. I love it. You know because again, I'm almost over here cheering. I like spicy food, but these are some things that I've learned about a long time ago, and I remember I was at this restaurant and you always do what the other kids do. Because they've seen this before, and so I see what they're doing, they dip it in and they put it on their tongue. I'm like, 'Okay,' again the other kids are doing it, so I do this and I put it on my tongue, and it felt like I was getting a tattoo on my skin. Like it was so hot. And today understanding that these are the defense mechanisms in the plant. You're not supposed to feel good when you have it, however we can still utilize some of these things in creative and novel ways, but just adhering to the way that our ancestors might have done it. And it's so enlightening to hear this because for most of us, Dr. Gundry as you know, we are unaware of the fact that some of these foods are hurting us and causing disease. And I would love also if we can address- because I've said this, I've been saying this for about ten years too, and your thesis was on this so somehow it trickled down to me that it's not just you are what you eat, it's you are what you eat ate. And so you share stories of people who were eating what they think to be free range chicken, and having some of these same issues. So let's talk about that. How is this happening? Dr. Steven Gundry: Yeah so let's use chicken as an example. So chickens are insectivores. They were actually brought to farms from Southeast Asia. And chickens- I grew up in the Midwest, and chickens would go out to the cow fields, and they dig through cow pies, cow manure looking for bugs. And they'd actually distribute the manure, and then they'd come back to the hen house and they'd lay eggs. And you'd never eat a chicken until the old hen couldn't lay anymore and she became a stewing hen. And so what happens is the chicken is designed to eat bugs, and grass, and that's what constitutes its flesh. If you feed chickens corn or soybeans, you will actually not have a chicken anymore. You will basically have a bird- an ear of corn with feathers. And one of the things that I read about a number of years ago that there will be lectins in the meat of these animals that are eating corn, or soybeans, or wheat that they weren't designed to eat, and that we will react to them. And I really thought it was kind of, 'Wow that's really out there,' until I started seeing these people with autoimmune diseases and one of the most striking ones is a woman who I actually saw recently again. She's a psychologist in L.A. who had horrible lupus, one of the autoimmune diseases, and she had all these rashes, and she was on immunosuppressive drugs and knew how bad those were. And I see this sadly all the time. A chicken is not a chicken anymore, just like a cow that eats corn and soybeans is not a cow anymore. A pig that's fed corn and soybeans is not a pig anymore. And we have- just because these animals look like what they used to look like doesn't mean that their flesh is the same. These animals are fed Roundup on their wheat, and their corn, and their soybeans, and we know the Roundup is in them. Even if it says antibiotic-free, it's a lie. You probably heard recently of a natural food company in Georgia that was advertising antibiotic-free chicken. 70% of the chickens still had antibiotics in their meat. So don't believe any of this stuff. Know your farmer, know what the animal is eating, and it makes a huge difference. Shawn Stevenson: Wow. That's enlightening and also again, these are calls to actions for us to figure out a new way to do things. Because the people that are listening, we have- for the most part, everybody has really taken action to become healthier, to do those steps, to become a better version of ourselves, but sometimes there are missteps along the way. You know just like when my initial forte was going from white pasta to wheat pasta. Shawn Stevenson: You know, and so you've been somebody who's really been a great bridge for people to get right to the destination a lot faster. Are there any other insights for us to share as far as what our approach should be? Because you just mentioned avoid the so-called 'free range' and 'organic' because it just means they're eating organic fake chicken food, and go for the pastured. Are there any other insights that we need to adhere to that you can share with us today? Dr. Steven Gundry: Yeah, watch out for organic farm-raised salmon. You'll see organic Scottish salmon, organic Norwegian salmon. These are farm-raised salmon that are fed organic grains. Don't fall into that trap. Now on the other hand, try to eat organic vegetables as much as possible, but just remember an organic pepper is no better for you because it's a nightshade unless you peel and deseed it. Every time you swallow one of these non-steroidal anti-inflammatories, it is literally like swallowing a hand grenade, and it will blow holes in the wall of your gut that lectins and bacteria will get through. And it's designed to actually relieve your pain but then make you hurt more and you'll go looking for more pain relief. Drug companies know this. I show it in my book, there are better alternatives for relieving pain. So just be careful, particularly with your listeners who are very interested in building muscle, and no pain, no gain. Be very careful, be very suspicious about taking NSAIDs for pain relief. Shawn Stevenson: Love it, love it. And you do talk about so many other factors in the book. There are seven deadly disruptors, and just other key components that are outside the paradigm of typical diet books. So well written, and so engaging, and so much great information. Would you please let everybody know where they can find your book and where they can connect with more of your information online? Dr. Steven Gundry: Yeah so I mean you can get it on www.Amazon.com, www.BarnesAndNoble.com. Please go to your local bookstore, it's there, it's been on the New York Times bestseller list for thirteen weeks, so they've got it. If you want more information go to www.GundryMD.com. You can sign up for my newsletter, I've got a YouTube Channel, Gundry M.D. YouTube. It'll show you how to cook these things. The cookbook will be out in April, 'The Plant Paradox Cookbook' with over 100 new recipes. But I'm always putting new recipes out. This can be done. You get to hate me for a couple weeks, but then if you read the reviews on Amazon, you'll start loving me very soon, you know? So yeah, thanks for having me on. I'd be happy to come back and chat some more at your convenience. Shawn Stevenson: I would love that. Dr. Gundry, this is- again, it's an amazing book, but you have an amazing story and I got to hear more of it today myself. And you are one of the very special- even though I know you probably have this belief that you're not special, and a lot of people can do what you've done, but in reality you were somebody who asked questions. When your patient started to find a solution that wasn't there before, you asked questions and you did something about it. And I just think that takes a tremendous amount of heart, and compassion, and wherewithal. And then to have that Black Friday take place where you made the decision like, 'I can't ethically do that work anymore. I'm going to focus on this.' I'm just very grateful for you making that decision and sharing your greatness with all of us. Dr. Steven Gundry: Well I appreciate it. You know, my wife calls it Black Friday because quite frankly you can make a whole lot more money cutting people open than teaching them how to eat. But I wouldn't change it for the world because seeing thousands of people take their lives back, it's just you can't pay for that. I'm like a kid in a candy store. I actually work seven days a week, I have office on the weekends as well because I just can't see enough folks and hear their stories. So good luck to you, and thank you for having me. And thank you for letting me reach a few more people. Shawn Stevenson: Awesome, my pleasure. Everybody, thank you so much for tuning into the show today. I hope you got a lot of value out of this. Again, I'm not just saying this. I've read countless books. You know, hundreds, and hundreds, and hundreds of books, and specifically in fitness and nutrition and health, and this is one of my top ten for sure. Just jumped right up there on the list because of putting together- it's just such a great compilation of many of the things we've talked about over the years, but it's right there in this concentrated form that the everyday person can see this book, and pick it up, and have their life transformed. So I definitely recommend picking it up, and also of course check out Dr. Gundry online. And if you're in the area obviously, you know as he mentioned he sees patients as well. You know he's still in the trenches, he's still doing this good work, but he's doing this to a much greater degree and a greater reward as he described himself personally, but also the reward that people are seeing with their health transformed, and I don't think you can really put a price on that. And today we covered a lot of information, probably some of these things might have pushed up against your belief system, and hopefully you have the compassion for yourself to trust the process, to open up, and to think differently. To just allow for this to be a possibility. That maybe the thing that you once believed in might be something that is taking you out in another form or fashion. You know for us, it's just a process of becoming more aware. You know, I really do believe that awareness trumps everything, and the more that you can start to wake up and to see the world around you from a meta perspective, and then be able to zoom in and to deal with the everyday stuff, the better. You know because for us, our ancestors figured out a lot of these things, and because of industry we've kind of lost our way, you know? And he talks about this in the book as well. You know Kellogg’s jumping on the scene and really pushing into consciousness for a supposed good reason of regularity. Like we need to eat more brown stuff so you can poop more, seeing our health just destroyed as a result of that. You know, maybe having a good ethical reason up front, but not knowing the full story. And today you got to hear more of the full story. So thank you so much for tuning into the show today. Please share this out with your friends and family on social media, Facebook, Instagram, Twitter, all that good stuff, and of course you can tag me @ShawnModel. I appreciate you so much for tuning into the show. Have a great day, take care, and I'll talk with you soon. I’ve been listening to your podcast pretty regularly over the last 2 years, after first hearing you on Rich Roll discussing sleep. 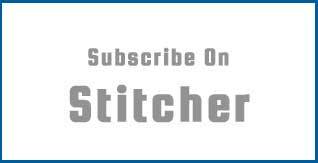 Your podcast with Dr. Gundry lost me as a subscriber. I won’t say more, we believe what we believe. I definitely trust Dr. Gregor’s ability to sift through research. Here’s what he had to say. Best wishes. I suspect I’m not the only one appalled to hear him on your podcast. Hi, Shawn, this is perhaps the most outrageous book you’ve ever recommended! I’m so disappointed. Wow, you think I didn’t study the author and the book? You must not know anything about me. First of all, the author of that link you sent is T. Colin Campbell, who is notorious for cherry picking studies to back up his beliefs. The claims in his seminal work, The China Study, were debunked to the moon and back (see here: https://chriskresser.com/rest-in-peace-china-study/ and here: https://deniseminger.com/2010/07/07/the-china-study-fact-or-fallac/ – I can post links too… but will you actually take the time and study the author like you questioned me on doing?) You just referenced one of the most discredited and scrutinized people in nutrition as your source. Now, would I say he’s 100% wrong in what he teaches? No, but that’s the difference between you and I right now. Hopefully, one day you’ll come to see the world as not so black and white and extreme, and that there is value and benefit on both sides of the isle if we all care to listen. Second, with someone cherry picking studies, they clearly are not going to point out the valid points and benefits from their “opponent”. Campbell believes everyone needs to essentially be a vegan (eating plants only), and when you hear someone say that plants are trying to protect themselves (and their one perceived source of food doesn’t actually want to be eaten), well, that’s going to conjure up some huge discomfort in you. Do you think that someone, who’s based their entire professional career on the fact that plants were made for humans to eat (with no substantial downsides), is even going to hear the points that someone like Steven Gundry is trying to make? I can tell you unequivocally, no. He has metaphorical earmuffs on. Guess what? I’ve got studies on studies, on studies that you can go through that validate Dr. Gundry’s assessments. Here’s a study looking at how lectins are able to maneuver from the gut INTACT, travel throughout your body, and affect dopaminergic neurons: https://www.frontiersin.org/articles/10.3389/fnut.2016.00007/full#B10 – The researchers are looking at this to uncover if it’s the reason that vegetarians appear to have higher rates of Parkinson’s disease. Think you know me yet? Here’s another study that already asserts that lectins are linked to digestive disorders, but also suggests that lectins have some potential BENEFITS as well (which Dr. Gundry talks about in his book too – which you’d know if you actually read it). https://www.ncbi.nlm.nih.gov/pubmed?Db=pubmed&Cmd=ShowDetailView&TermToSearch=8269884 Take the subhead on page 49 of Gundry’s book ‘Hormesis and the Lectin Paradox’, he states how plant lectins actually help “educate” your immune system, helping you fight off pathogens and viruses. He’s looking a little more on both sides of the story that you probably aren’t, and, as a result, helping a lot more people. Lastly, because I want to give you a chance to do your homework before you make snap judgments about me next time, lectins are so well known to cause gut permeability in the medical community, that drug companies are working to use lectins to help medications break through the digestive tract, nasal mucosa, and the blood-brain barrier. https://www.ncbi.nlm.nih.gov/pubmed?Db=pubmed&Cmd=ShowDetailView&TermToSearch=14969751 We have a blood-brain barrier for a reason. Things are not supposed to easily cross it. But lectins can: https://www.ncbi.nlm.nih.gov/pmc/articles/PMC279605/ — Researchers have been publishing studies on this stuff since the 80’s. Now, you can listen to the religious nutrition doctrine of T. Colin Campbell, or you can create a more well-rounded understanding of things to better help yourself and others. Peace. So first of all, thank you for having Dr. Gundry on your show! 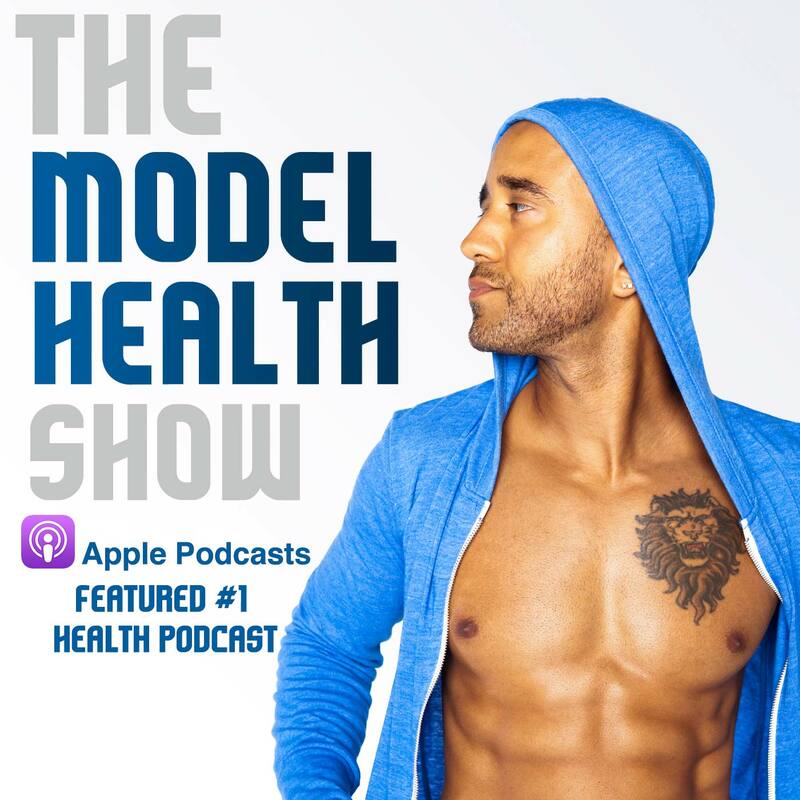 I just recently found your podcast and this episode stood out to me because I have been battling some digestive and autoimmune-related issues for quite some time. I was tested for celiac a while back and wheat fell off my radar after the test for gluten allergy was negative. I’ve been digging into the peer reviwed scientific literature, and although I am not thoroughly convinced by Dr. Gundry’s claims, am I intrigued enough to try cutting just wheat from my diet for 3 weeks. I read the opinion piece cited above (written by Dr. Campbell) and found it to be… well, an opinion piece. I tried a vegan diet for months and found that it exasperated my digestive issues, so it seems Dr. Campbell’s cure-all approach isn’t all it’s cracked up to be either. I just wanted to say that I really respect the time and energy that you put into making your reply – actually, let me broaden that a bit – I really respect the time and energy that you put into making your show. Is there a certain amount of time you need to pressure cook quinoa to remove the lectin? I see recipes and the cooking time said 1 minute but not sure if that is long enough? This is some phenomenal content!! I just started listening to your podcasts last week (I first heard you on Rich Roll a while back). I’ve managed to hear quite a few of your episodes here. My eating style is about 95% no meat, no dairy, so this topic challenges me in a profound way. I have already started digging deeper on this topic in order to see what I need to tweak for the sake of my health. LOVE the show! You are no doubt saving lives.